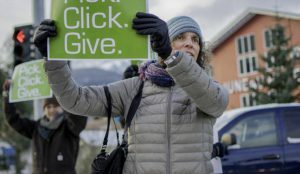 If you were in Anchorage, Bethel, Haines, Homer, Juneau, Seward, Sitka, Petersburg, or Wasilla two weeks ago, there’s a good chance you heard or saw nonprofits promoting local philanthropy in partnership with Pick.Click.Give. (PCG). 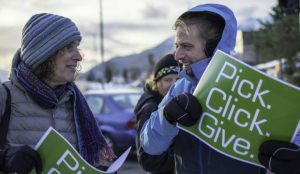 March 1 ushered in rallies, radio interviews, community discussions, and loads of photos as nonprofits across the state came together to encourage Alaskans to give locally this winter. If you were in Seward, you heard Allison Fong talking shop on KIBH; those heading to the grocery store in Sitka probably had a friendly chat with local volunteers offering to help with the technical end of a PCG donation; the lucky folks in Haines might have joined in on a community brown bag lunch where nonprofits could celebrate PCG experiences before taking a publicity shot in front of the library; and if you were heading to Homer you might have seen some enthusiastic sign waivers. Friday, March 2 told an interesting story. Statewide daily contributions to the PCG program spiked by 1% the day after the rally and cumulative giving (the percentage of all Alaskans who have applied for a PFD and who have contributed through the program) went from 4.24% on Thursday to 4.28% by Monday morning. As of this report, the average pledge per donor sits at $103.99, nearly $4 more than the average pledge per donor in 2015, when the expected dividend was twice as much as it is now. The purpose of PCG day is remind Alaskans that now more than ever is the time to support local nonprofits and organizations that provide services to community members among us. 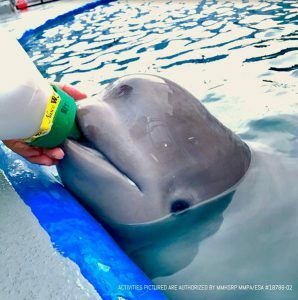 Whether it’s providing a hot meal, caring for rescued animals, or creating a place for children to read books after school, Alaskan nonprofits enrich our communities on a daily basis. 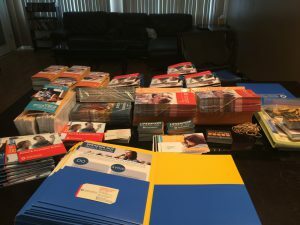 The nonprofit sector, perhaps best known for ‘tightening its belt’ and ‘doing more with less’, is feeling today’s economic hardship as much, if not more than the rest of us. A $25 donation, given directly or through PCG, might mean ten more meals in your local shelter, or several new books in your local libraries. You can still take part in PCG Day by making a pledge through PCG when you apply for your PFD online at pfd.alaska.gov. For those who have already applied for your PFD, you can make a donation on the same website through August 31; just log in to your account and follow the green button. 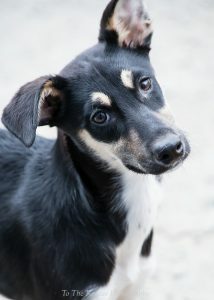 Want to hop on the philanthropy train, but not sure who to give to? 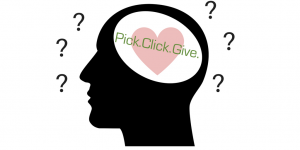 Check out the Pick Tool at pickclickgive.org for a fast and easy way to choose your next favorite nonprofit.